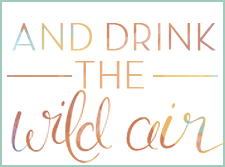 First of all, I'd like to go ahead and thank my wonderful mother-in-law for introducing me to this recipe. 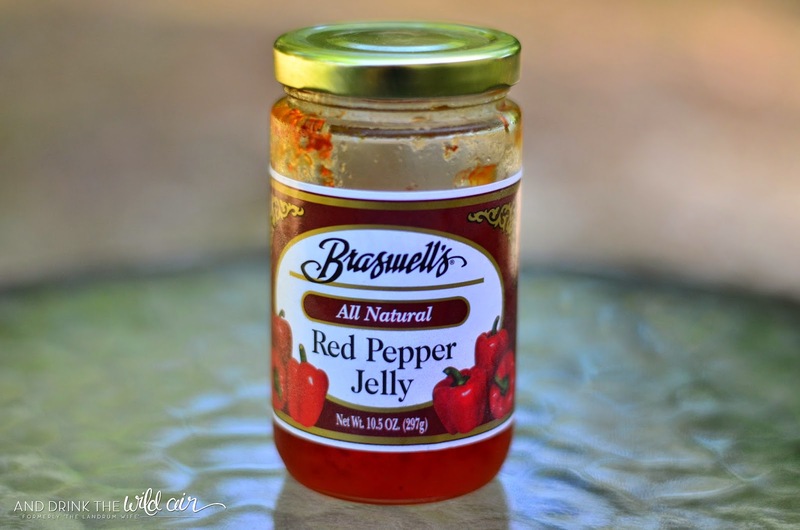 When she first mentioned it to me, I must say I was skeptical, but that's only because I'd never had a chance to taste the deliciousness that is red pepper jelly! 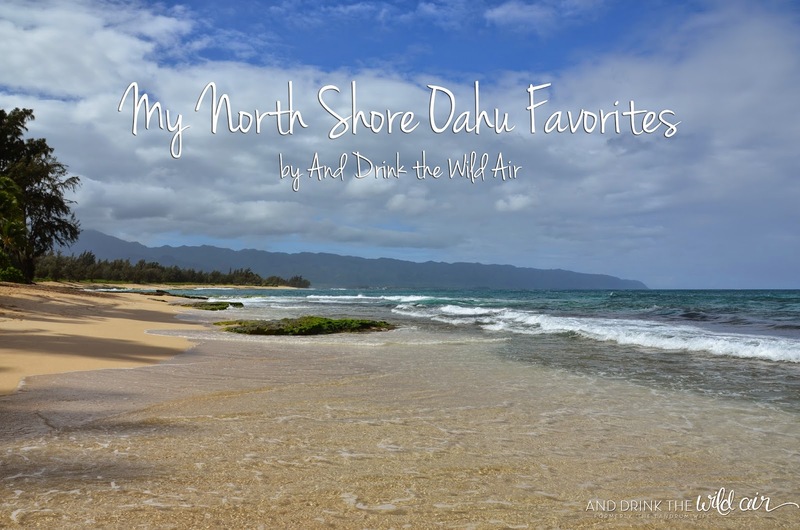 It has a really nice, sweet taste but with a red pepper kick that always kept me coming back for more. 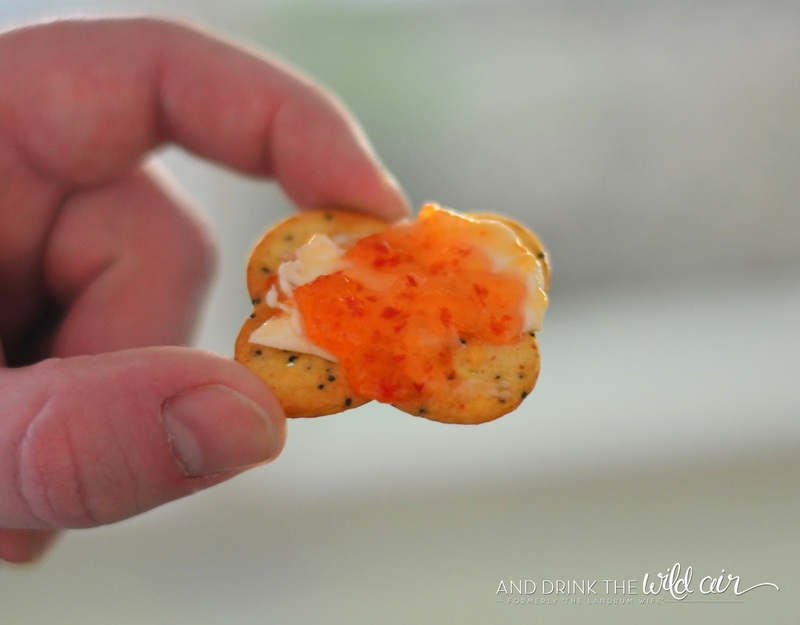 After that first sampling, this super yummy appetizer somehow made its way onto the menu of every event we threw afterwards, including my lovely sister-in-law's baby shower (that time green pepper jelly to match her John Deere shower theme!). 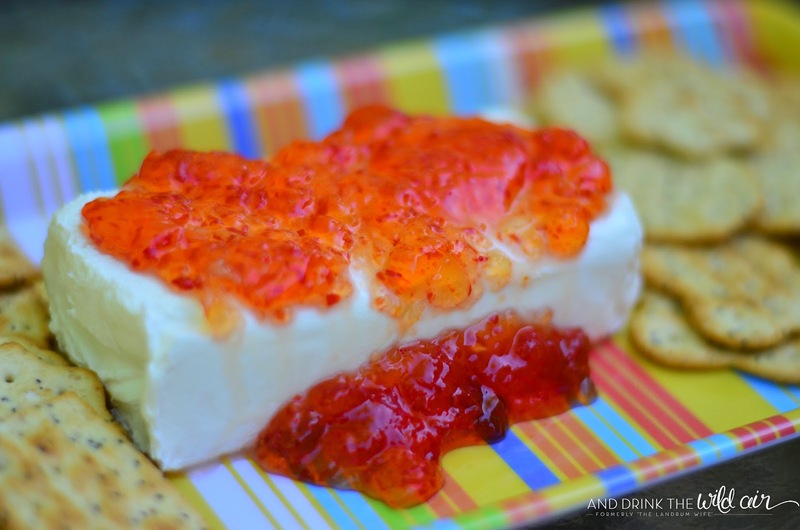 Sometimes I even had a 1/4 of a block of cream cheese and a couple of spoonfuls of jelly at home all to myself :) This has definitely become one of my favorite appetizers and I can't wait until my next excuse to serve it! Unwrap your cream cheese (I prefer it to be straight out of the refrigerator since it'll probably sit for a while) and place it on a pretty, oblong platter. For the red pepper jelly, you have two options. You can either buy it already jarred (I prefer the Braswell's brand) or you can make your own. If you'd like to make your own, here's a recipe from Epicurious that I'll definitely be trying in the future! 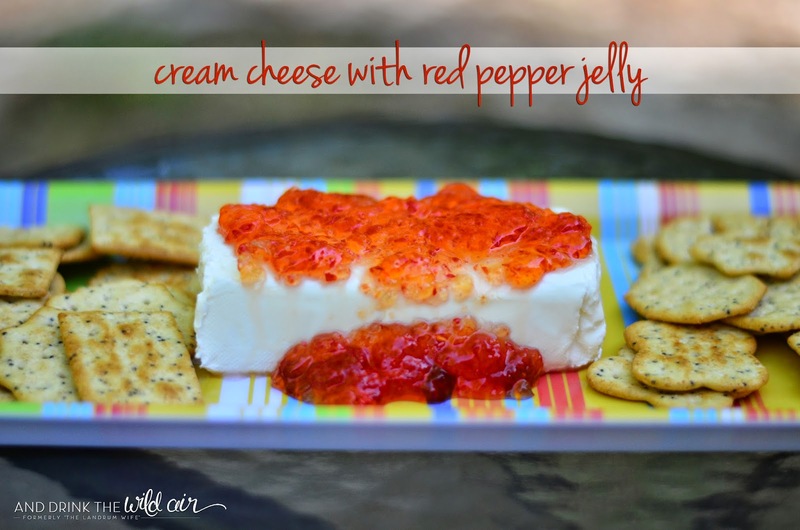 Take a few spoonfuls of your red pepper jelly and spread it across the top of your cream cheese block. I ultimately use about 1/4 of a jar for each block of cream cheese. 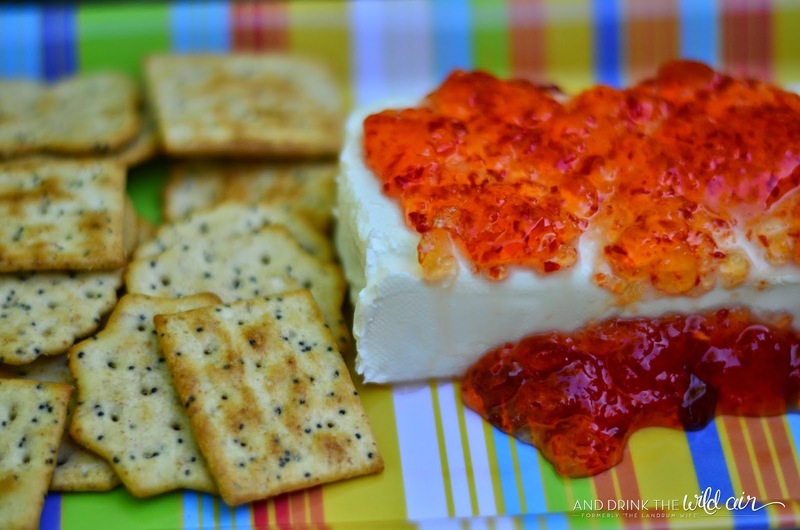 Arrange your preferred crackers around your cream cheese and red pepper jelly, add a knife, and serve! 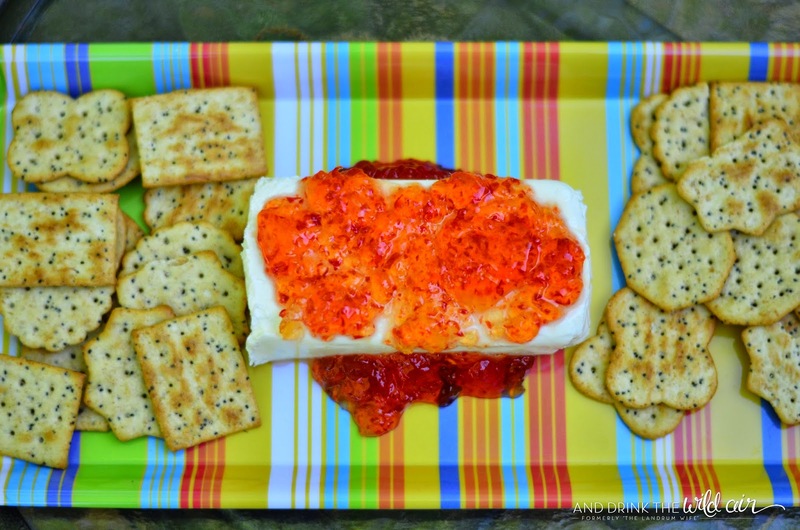 Have you ever heard of or tried red pepper jelly?